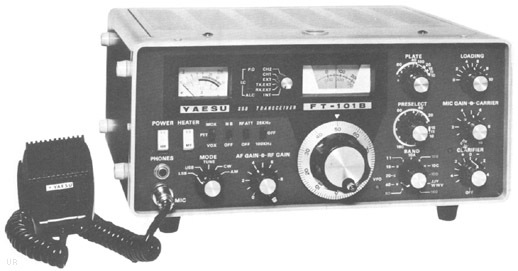 The Yaesu FT-101B is a solid-state (except finals and driver stage) transceiver covering 160 through 10 meters in USB, LSB, CW and AM modes. Frequency coverage is: 1.8-2*, 3.5-4, 7-7.5, 10-10.5 (receive only) 14-14.5, 21-21.5, 27-27.5 (receive only), 28-30 MHz. The analog display provides 2 kHz accuracy. An eight-pole SSB filter reduces QRM. 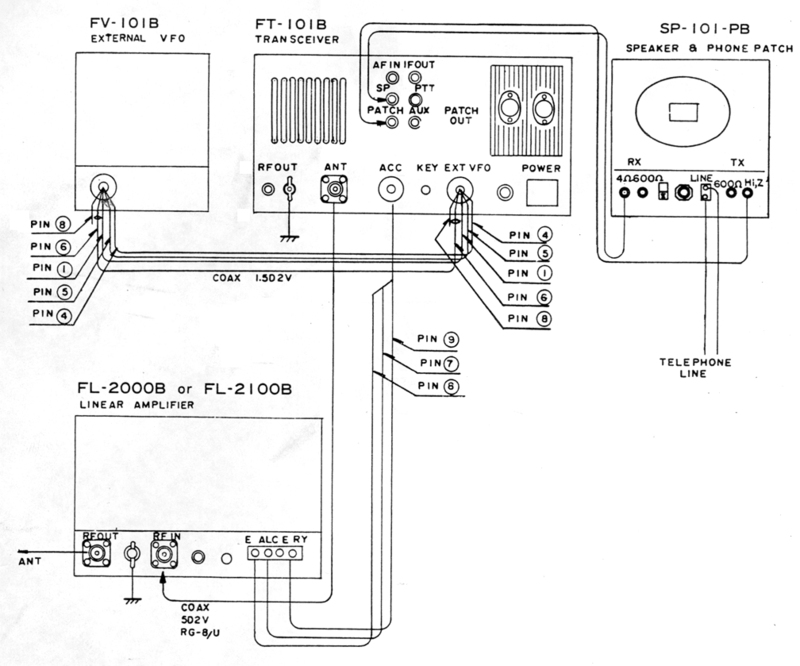 Input power is a full 260 watts PEP on SSB, 180 watts on CW (50% duty cycle) and 80 watts AM (lower on 160 and 10 meters). The factory sealed, solid state VFO provides optimum stability and 1 kHz readout. There is a 25/100 kHz crystal calibrator. Features added in this new "B" version include VFO warning light, Clarifier warning light, NB on insert card, 8 pole filter, sidetone output and antitrip input. This radio operates from 12 VDC 20 amps or 100-234 VAC. There is also an AUX range crystal position for any 500 kHz segment from 14.5-28 MHz. There is a built-in speaker. * 160 meter coverage requires optional crystal. Copyright 2008-2017, Universal Radio, Inc.